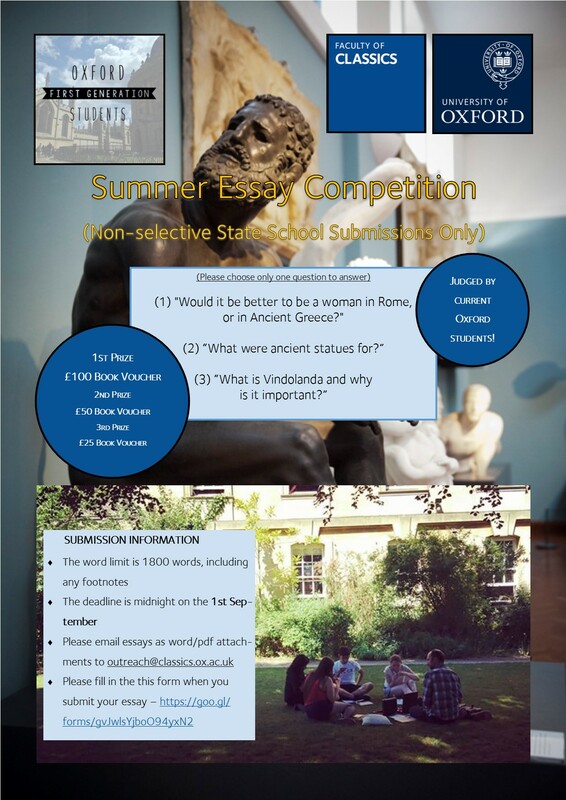 The Faculty of Classics, Oxford has teamed up with Oxford First-Generation Students Society to run a Summer Classics Essay Competition for pupils who attend non-selective state schools. Full details can be found on the poster below! Interested in history? 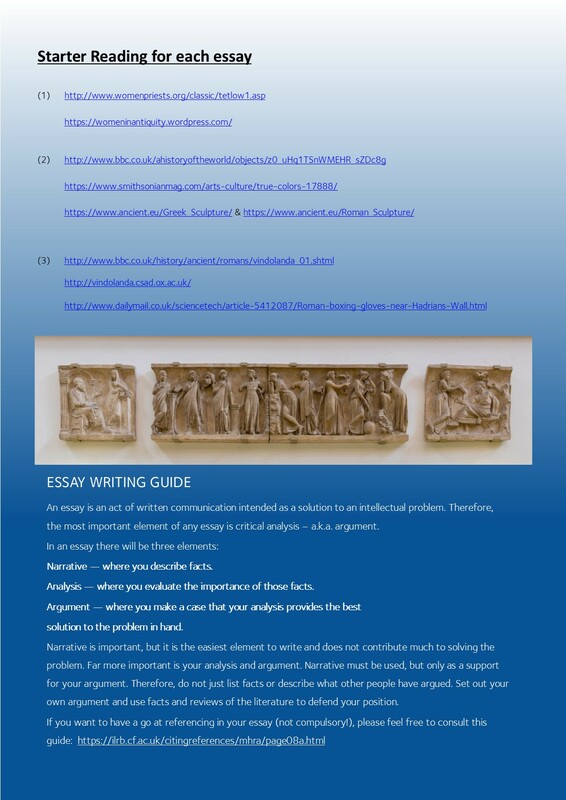 We hope you will find the essay questions enjoyable as well as challenging, and that it will open up areas of interest you had not considered before. This essay competition will be appropriate if you are studying any kind of humanities subject, but particularly history. It could also be something that you talk about in your personal statement. Essays will be judged by current Oxford Classics students. First prize will be a £100 book voucher, second prize £50 voucher and third £25. Email outreach@classics.ox.ac.uk with any questions!